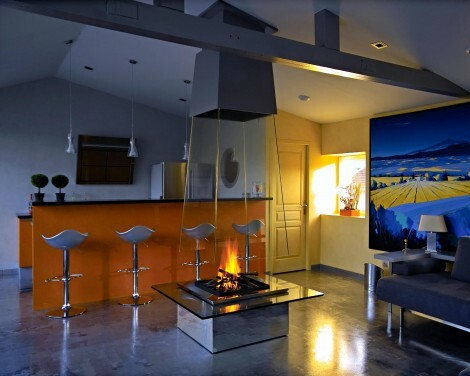 A fireplace is an integral part, the centerpiece of a mountain interior design whether in an apartment, a studio, a chalet, a restaurant, a hotel or a SPA. Wood or gas, a mountain fireplace will be the centerpiece, the gathering place offering its guests relaxing and convivial moments in a warm and romantic atmosphere. After a day out on or off the slopes, heliskiing or shopping, no after-skiing activities can begin without good company around a beautiful fireplace. Bloch Design has produced unique artistic works in public places and private home in world class ski resorts in the french, swiss, italian and austrian Alps, as well as in the Appalachian and the Rockies in the United States and Canada, in Azerbaijan and in Russia. 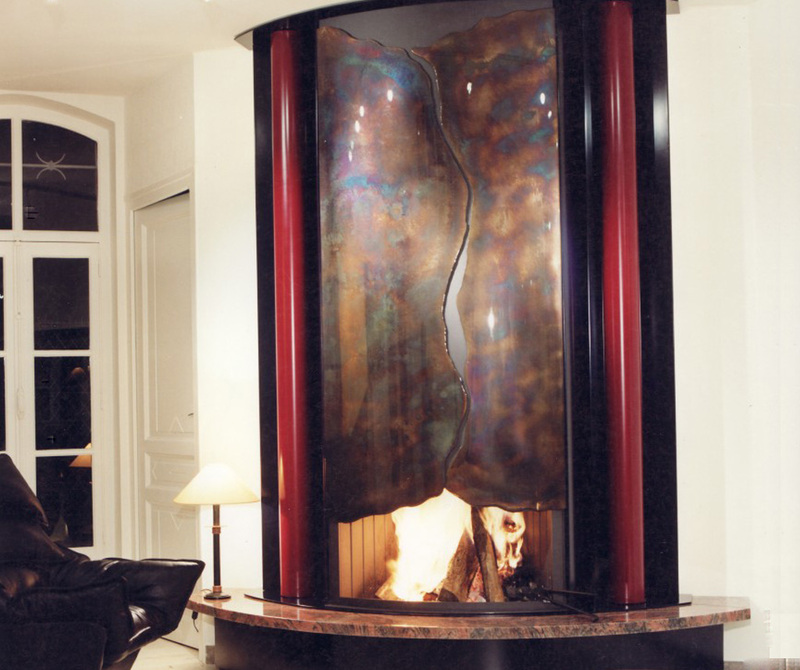 Snowboarders and skiers alike, dont miss another winter without a beautiful fireplace in your home. For this winter, live your dream and have your own unique mountain fireplace!